A lively tapas bar in the heart of the Welsh Capital, directly across the road from the Millennium Stadium. The restaurant captivates our journey around Spain, showcasing a mix of both traditional and contemporary design. We are obsessive about Spanish culture, food, wine, and the Spanish way of life. 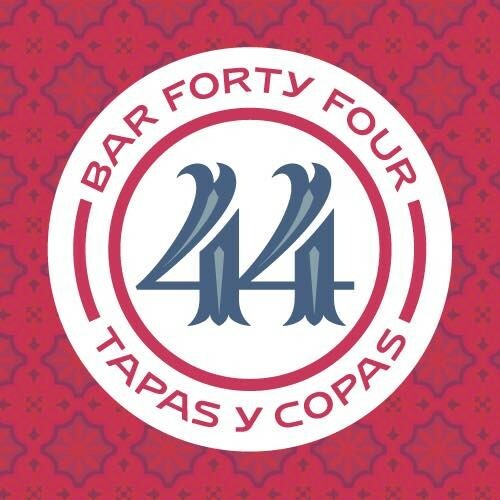 Tapas y Copas (tapas and drinks) is what we do. Using the finest Spanish produce known to man, coupled with the best local produce we are striving to produce the finest tapas, and our passion with Spain knows no bounds! Almost everything we serve is made on the premises, or traditionally cured and aged in Spain and carved or cut by ourselves for your pleasure. Our food is complemented by a superb array of drinks. As much effort and passion go into sourcing and creating our drinks as it does our food. Our extensive Cocktail List also has a distinct Spanish flavour to it. Booked online but something went wrong as didn’t have my reservation at restaurant but did have all my details (email address phone number etc). Realised it was their system error and in fairness couldn’t do enough to accommodate our booking of 7. Went out of their way to ensure we were accommodated. Really great service. Asked the waitress to choose the dishes for us and we weren’t disappointed. Definitely book again. Best Tapas outside of Spain. This place never fails to please- great food, atmosphere and service . Lovely meal. Would recommend the beef fillet! Our experience was great. The food and drinks were of good quality. We struggled to read the menu due to poor lighting and it would have been nice to have background music, but other than this it was absolutely fantastic. 10/10. I’m useless with names so cannot remember the name of the waitress but she was extremely friendly and knowledgeable of the menu and drinks. She made the experience even better, simply by her good nature. Amazing food and fab service from a lovely girl. Best restaurant in Cardiff by a mile! See you next Thursday! I was with a party of 6 and we dined on Saturday night. We experienced great food and a great atmosphere. Would recommend the G&Ts, crispy hake, croquettes, gambas and patatas bravas. Beautiful food, the cocktail list could be improved slightly for those that aren’t gin lovers. Overall, great place! First time dining here for my boyfriend & I on Saturday and we had a great time, our waitress (didn't catch her name sorry!) Was brilliant, very friendly & explained the menu for us. Food was absolutely stunning, really loved it. The atmosphere & place itself was great, I absolutely loved the whole evening and can't wait to come back! Great food, great atmosphere and great cocktails! Very busy last night with no requests for more drinks or desert. Had to wait a long time to pay. Food fantastic as ever. So pleased we booked a table. The food was amazing. A thoroughly enjoyable evening. Great food and service as always. The food offered is very authentic Spanish and we even had people speaking Spanish opposite us. Always a good sign. The food is cooked to perfection and very fresh. The service is very good. Very friendly and happy to explain anything. The gin menu is fantastic. We were confused when they brought the bill when we hadn’t requested it i’’m sure it was just a misunderstanding. Thank you for a lovely night. We will be back. Great food, beautiful restaurant and wonderful staff. We had a great evening at bar 44!